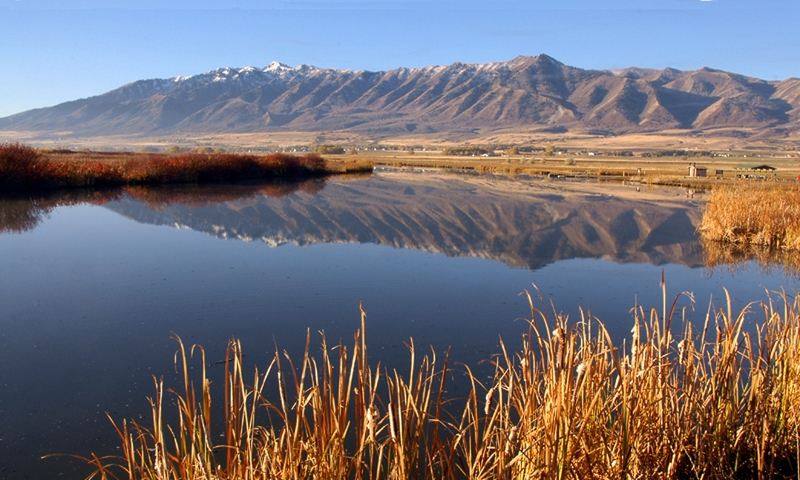 Anyone who lives in Utah knows that it’s a dry state. In fact, around three-quarters of our state is considered desert. A desert is often characterized as an area that receives less than ten inches of precipitation each year. But, high levels of evaporation, which are influenced by temperature, wind speed, and solar radiation, also contribute to creating a dry desert ecosystem. 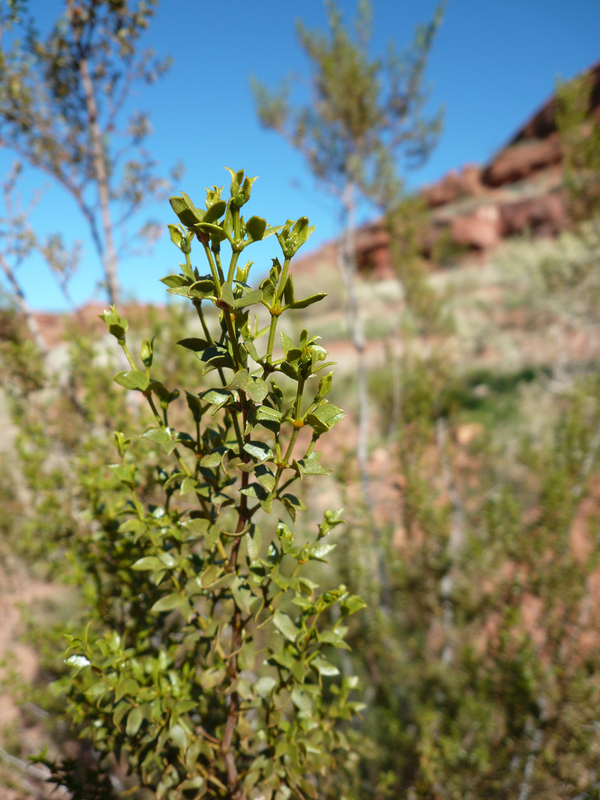 So, how exactly are plants able to survive in Utah’s deserts, which are so dry? 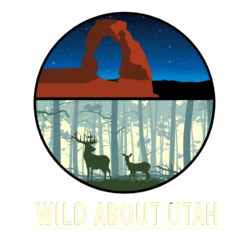 It turns out that the plants that grow and flourish in Utah’s deserts have an amazing array of adaptations for survival. 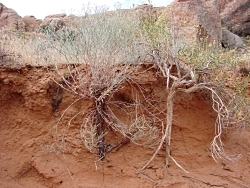 Many shrubs and trees, such as desert willow, and certain species of sagebrush and mesquite, have thick taproots that grow deep into the soil to reach groundwater. This helps the plants survive the hot, dry summer. Some mesquite taproots have been found to grow as deep as 200 feet to reach a constant water supply. Cacti, such as the various types of prickly pear, have almost an opposite adaptation. They produce dense tufts of fibrous roots just below the surface of the soil. 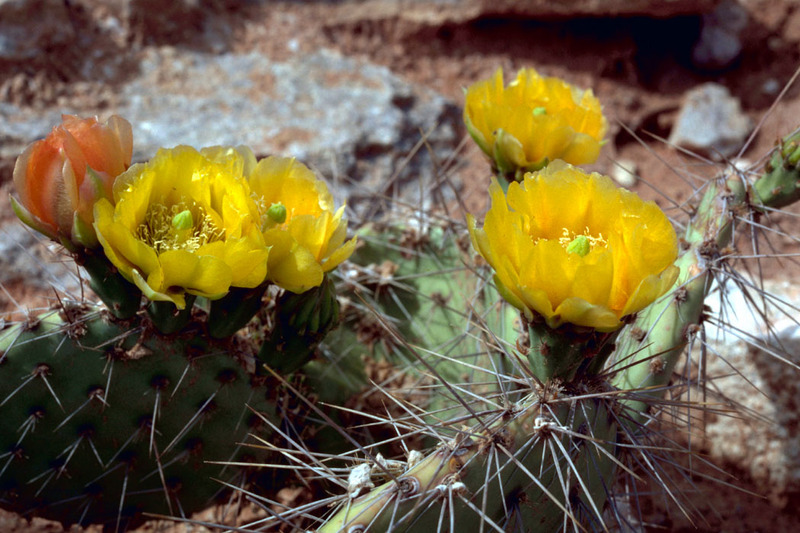 This allows cacti to quickly absorb water from brief rainstorms, and then store the water in their thick, succulent leaves. As temperature increases, desert plants face the danger of excessive water loss from their leaves. A thick, waxy coating on the outside of leaves often helps to retain water. The shiny wax also reflects sunlight to keep the leaves relatively cooler. 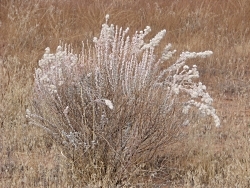 To further reduce leaf temperature and water loss, some plants, such as brittlebush, grow light-colored dense ‘hairs’ on their leaves and stems. These trichomes not only shade the plant, but also aid in absorbing water from morning dew. 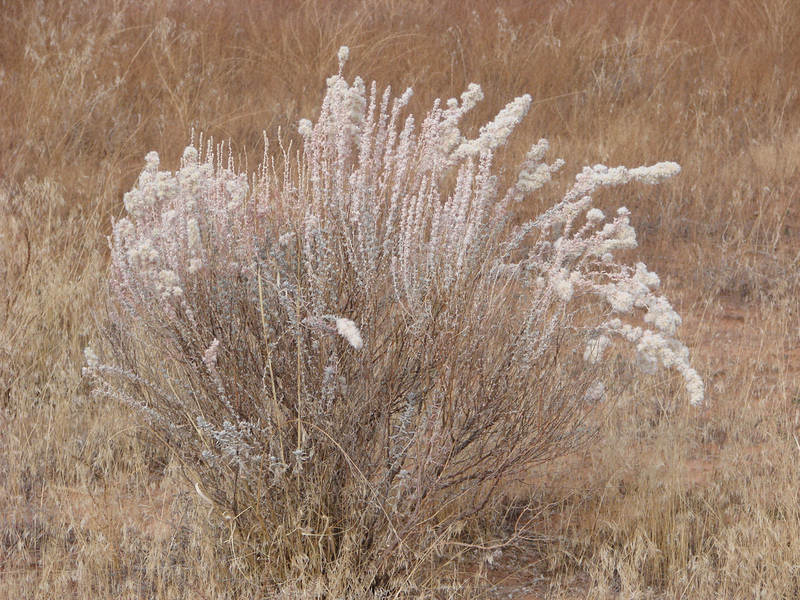 If temperatures get too hot, and drought stress too great, some plants, such as creosote bush and ocotillo, may drop their leaves several times each year to ensure survival. Some of these plants have green chlorophyll in their stems so they can still produce food through photosynthesis when there are no leaves on the plant. While this is just a sample of an amazing collection of adaptations, it’s clear that desert plants are champions of survival in a harsh ecosystem where water is so scarce.